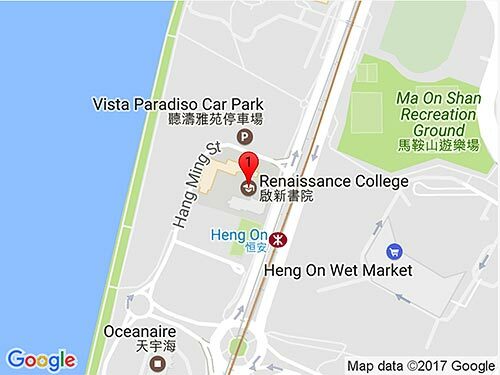 The acquisition of language is a dynamic, life-long process that permeates all learning at Renaissance College Hong Kong (RCHK). The College shares the philosophy of the International Baccalaureate (IB), which recognizes and values the crucial role language learning plays in the development of personal identity, the ability to communicate effectively and the deepening of intercultural awareness and understanding. RCHK is committed to provide a strong Chinese language (Putonghua) programme within the context of an international education. The majority of students at RCHK study Chinese (Putonghua) either as a first or additional language. At RCHK, a communicative approach is applied in the learning of languages, which stresses the use of language in authentic contexts and for authentic purposes. Emphasis is placed on development of the skills of reading, writing, listening, speaking and viewing and on the study of literature. The role of parents is vital in ensuring a positive approach and outlook to the study of languages. Parental awareness of the challenges their child may face and the support that they can offer in ensuring lines of communication are open between parents and the College can ensure the child’s full involvement in the life of the College. Parents are also encouraged to promote language learning at home. At RCHK we are fortunate in having a parent body which is supportive of their child’s language learning and who understand the importance of language proficiency. Oral language encompasses all aspects of listening and speaking—skills that are essential for ongoing language development, for learning and for relating to others. Listening (the receptive mode) and speaking (the expressive mode) work together in a transactional process between listeners and speakers. Reading helps us to clarify y our ideas, feelings, thoughts and opinions. Literature offers us a means of understanding ourselves and others, and has the power to influence and structure thinking. Writing is a way of expressing ourselves. It is a personal act that grows and develops with the individual. From the earliest lines and marks of young learners to the expression of mature writers, it allows us to organize and communicate thoughts, ideas and information in a visible and tangible way. Music is a part of our everyday life, and our primary music sessions help students to understand this concept; through creating and responding to music in a variety of ways, students have been able to make connections with the importance and presence of music in their worlds. In the PYP music curriculum we explore the role of music in our lives through the strands of creating music and responding. These two strands go hand-in-hand and are very closely linked; our students have come to realize that as part of the creative process, we are constantly moving through and between the acts of creating and responding, and that it is hard to have one without the other. Students develop many of the PYP transdisciplinary skills including communication and socials skills, since much of the learning we do is collaborative. This allows us to become aware of our roles and responsibilities within a group; this also helps us to develop the PYP attributes and attitudes. As a result of these strong connections to the wider world, students can make more sense of the role of music in their own lives. In addition to creating music, students are given many opportunities to respond to a wide variety of music, including their own work and other artists’ work. RCHK primary music students learn to be respectful and open-minded when experiencing a wide range of music from many cultures, places and times. Through this exposure to such a diverse selection of music media, we learn to be reflective as we construct personal meaning in order to inspire our own future musical endeavors. Students who wish to take instrumental music lessons should contact the teachers directly. Please click here to view the Tutor List. To find the music played in class on recorders, please click here to visit the Recorder Weebly. For more information on bands at RCHK, please click here. Students will discover the capabilities of their bodies and the variety of ways in which they are able to use their bodies to solve problems, address physical challenges, function as part of a group, manipulate equipment or apparatus and express themselves kinesthetically in a range of situations. Students will be exposed to a number of activities, which will develop motor skills that may later be applied in various sports. Students will learn to trust their own body, assess risk and make decisions about their own actions. Students will get to know the basic forms of motion, which provide large and fine muscle development and control. Students will be introduced to a healthy and active lifestyle and the ways exercise affects their bodies and overall fitness or wellbeing. Students will develop skills, which they may apply in a variety of contexts within and beyond the school setting. Below is an outline of the strands explored in Primary P.E. Recognizing and appreciating the importance of maintaining a healthy lifestyle; the body’s response to exercise including the interaction of body systems and the development of physical fitness. Recognizing that movements can be linked together and refined to create a sequence of aesthetic movements. Movements can be in response to stimuli or performance elements and/or criteria and can communicate feelings, emotions and ideas. A variety of tasks requiring the use of physical and critical-thinking skills by individuals and/or groups; challenges that require groups to work together collaboratively in order to solve problems and accomplish a common goal; recognizing the role of the individual in-group problem solving. The development of basic motor skills and the body’s capacity for movement through locomotors and manipulative skills and/or experiences; the techniques, rules and purpose of a range of athletic activities; recognizing a high level of achievement and how to improve a performance. Recognizing the challenges presented by games; the importance of manipulating space; the categorizing of games; identifying and developing appropriate skills and strategies; recognizing the importance of rules and how they define the nature of a game; modifying existing games and creating new games; teamwork. The goal of the program will be to promote aquatic readiness and confidence, allowing students to develop skills necessary for swimming and other water activities. Qualified swimming teachers will teach classes and the pool will be supervised by two lifeguards in accordance to Hong Kong regulations. The table below provides an overview of the strands that will be explored through both stand alone and collaborative units of inquiry. PYP believes that “learning about and through arts is fundamental to the development of the whole child, promoting creativity, critical thinking, problem-solving skills and social interactions…The arts develop innovative thinking and creative use of technologies, and in so doing prepare students to participate fully in this multifaceted world” (Making the PYP Happen, p. 125). The Primary Visual Art curriculum gives students an opportunity to explore a range of art materials and media. Visual art enables students to communicate in powerful ways that go beyond their spoken language ability, fostering creativity and self-discovery. Artwork may be related to the unit of inquiry being taught in the classroom and used to develop ideas, skills and perception. The creative process is seen as a driving force in learning through inquiry. Visual art is divided into two strands, responding and creating, as seen below. Below is an overview of the skills that will be explored through both stand alone and collaborative units of inquiry.